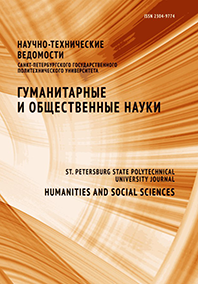 The relevance of this study is due to the need to comprehensively investigate the issues of the formation and development of polytechnic education in Russia at the beginning of the 20th century. The methodological basis of the article is the principle of scientific objectivity when working with sources, excluding the influence of conjuncture on the analysis and interpretation of empirical data. The comparative historical, formal logical, structural and functional, as well as descriptive, methods allowed to systematize a significant amount of factual information, and to reveal the main tendencies of Duma discussions. The documents of the Russian State Historical Archive on the activities of the State Duma of the Russian Empire have been analyzed. Various approaches to secondary vocational polytechnic education by deputies and state officials have been described. The main problems that hampered the development of vocational education have been identified. The archival documents referred to in the article are introduced into scientific circulation for the first time ever. They contribute to our understanding of the national polytechnic school in the early 20th century. Conclusions: the development of secondary and primary technical education in Russia was hampered by a lack of state funding. The authorities believed that technical schools should be developed, first of all, at the expense of interested parties, i.e., entrepreneurs or benefactors. The lack of compulsory primary education in Russia also hampered the development of specialized educational institutions. The materials of the article can be used to study the history of reforms in the higher polytechnic school.